Congratulations again to the winner of this years Short Story Competition, ‘Buffalo’ by Ellen Vickerman. Also congratulations to the runner up ‘All that Matters’ by Sarah Klenbort. Congratulations to the winner of this years Short Story Competition, ‘Buffalo’ by Ellen Vickerman. Also congratulations to the runner up ‘All that Matters’ by Sarah Klenbort, and to all the shortlisted entrants who attended the SWR event last night. Thanks to Meredith Penman for reading the winning entries so eloquently, and Vice-Chair David Curzon and President Ben Keating for all their work in organising the event, as well as the SWR members who were both judges and waiters on the night. A final thankyou to all who entered, there would be no competition without you! The deadline for the 2017 SWR short story competition has been extended by popular demand. Entries must now be submitted by midnight on 15 September 2017 (AEST). Stories should be limited to 2000 words and must be single-authored. Entries are accepted online only, as Word Documents or PDF files. First prize is a generous $500 and the runner up will receive $250. Entries close at midnight (AEST) on 31 August 2017. The judges will advise the authors of the winning stories by 30 September 2017. Thanks to everyone who entered the 2016 Short Story Competition. 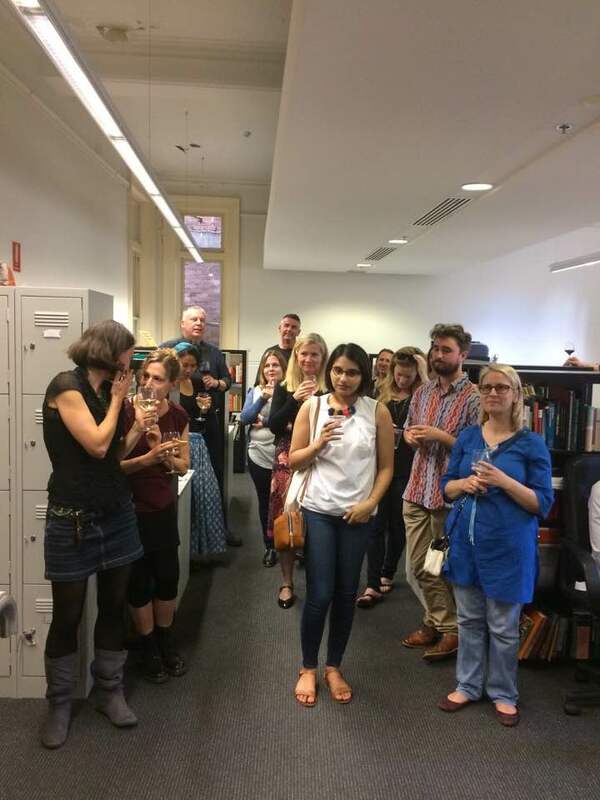 Last night the Sydney Writers’ Room announced the winner and runner up. 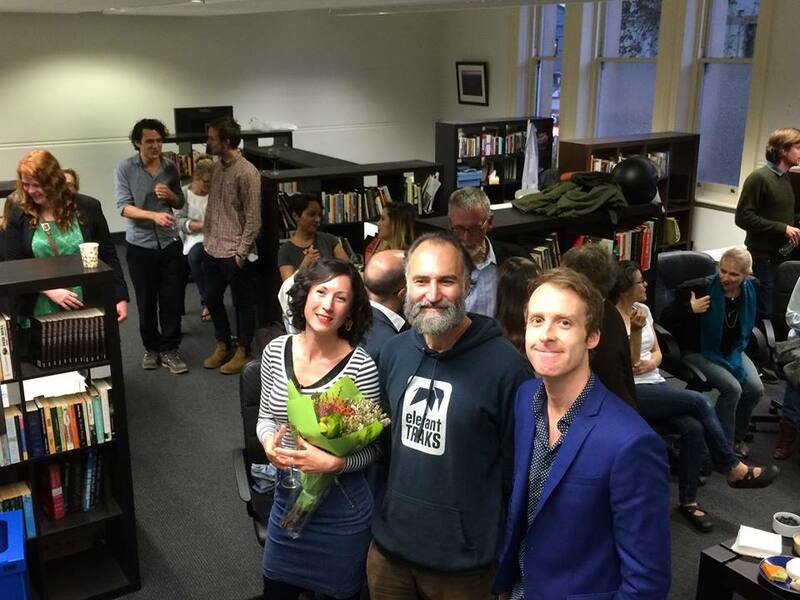 Sydney lawyer and writer Dominic Carew (right), won the competition for his story, Defect. The runner-up was Melbourne-based writer, editor and teacher, Emily Stoikovich, with her story, The Girl With The Iron Fist. 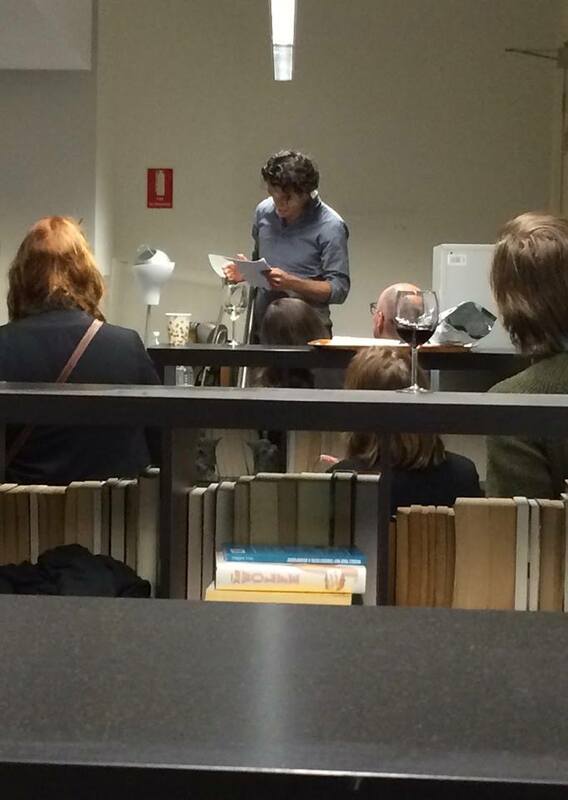 Actor Ben Winspear gave a fantastic reading of the winning story Defect to a crowd of entrants and members of the SWR. Thank you to all who entered and attended, the judging committee, and organiser and Vice Chair of the SWR, David Curzon (centre). Stories should be limited to 2000 words and must be single-authored. Entries are accepted online only, as Word Documents or PDF files. First prize is a generous $500 and the topr three entries will each be awarded ‘hot desk’ memberships at the SWR for 3 months (valued at $600). Entries close at midnight (AEST) on 31 August 2016. The judges will advise the authors of the winning stories by 30 September 2016. Membership prizes are not transferable, and will take effect from 1 October 2016. 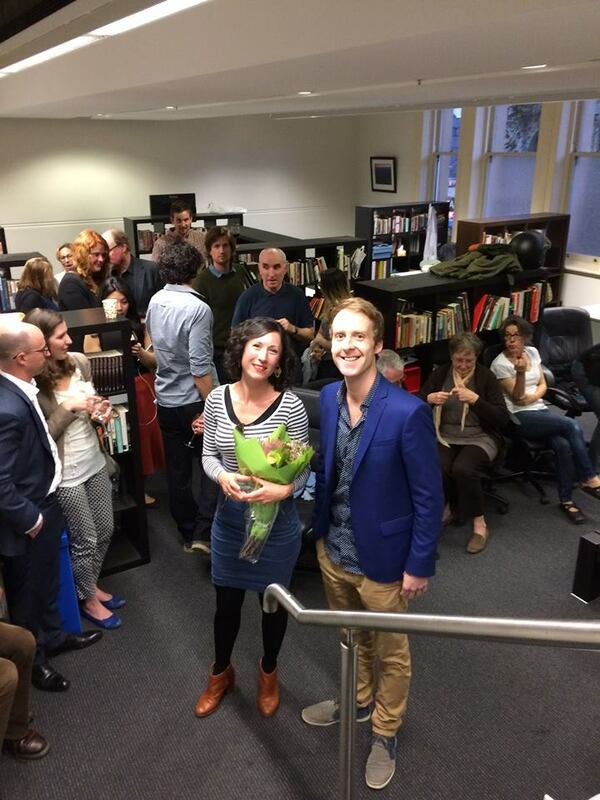 Many thanks to everyone who entered the 2015 SWR Short Story Competition. Almost one hundred stories were submitted to this year’s competition, and the shortlisted entries were all of the highest standard. 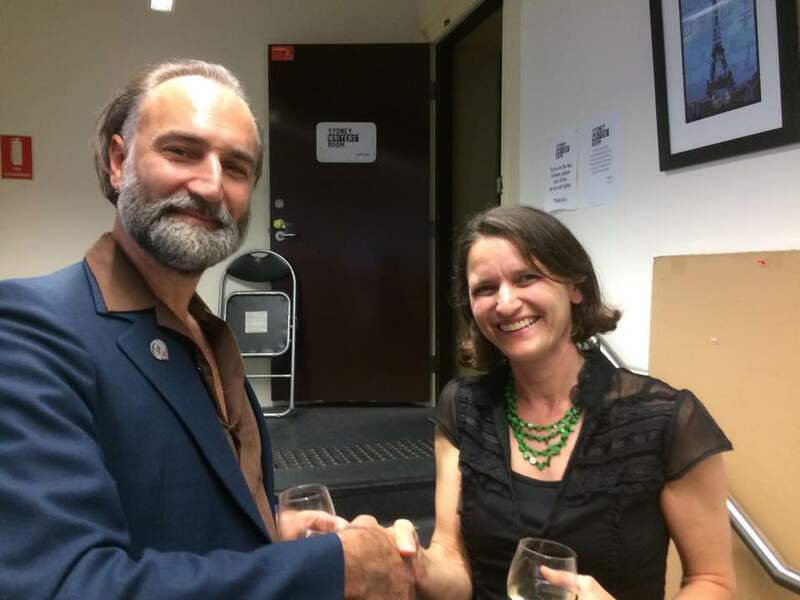 Congratulations to Susan Bennett, whose story ‘Mister Switzerland’ won first prize, and to Mark Brandis for the runner-up story ‘Pensioner’s Concession’. The judges also highly commended ‘Water Views’ by Alice McTyer, ‘Mussels’ by Mark Gertskis and ‘Supper’ by Lily Mei. The 2015 SWR Short Story Competition is now closed for entries. Almost one hundred stories were submitted. Winners will be announced by the end of September! 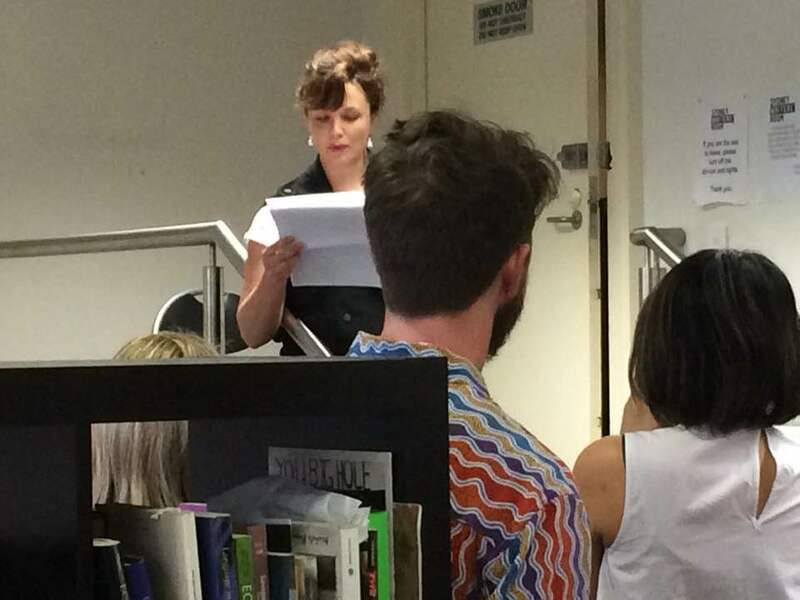 The Sydney Writers’ Room Short Story Competition will be accepting entries until 31 August. Click here for more information. Stories should be limited to 2500 words and must be single-authored. Entries are accepted online only, as Word Documents or PDF files. 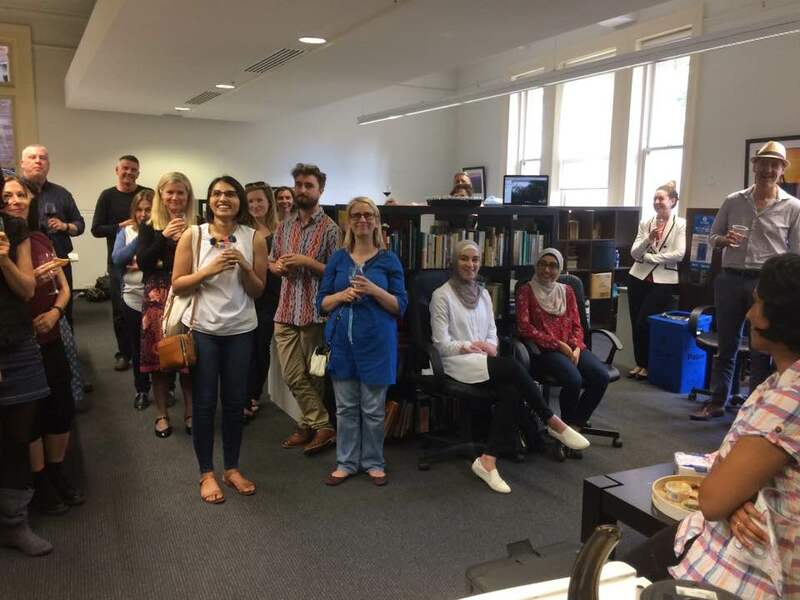 First prize is a generous $500 and a ‘hot desk’ membership at the SWR for 3 months (valued at an additional $600 AUD). There will also be a runner-up prize of $250. Entries close at midnight (AEST) on 31 August 2015. The judges will advise the authors of the winning stories by 30 September 2015. Membership prizes are not transferable, and will take effect from 1 October 2015.